The Sargood Foundation have delivered a world-class health and wellness resort designed to support victims of major spine injuries. 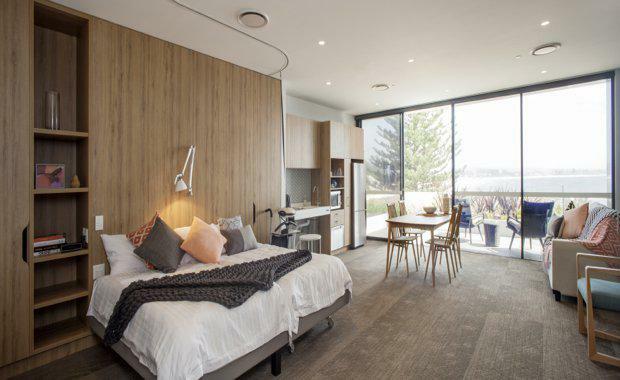 Sargood on Collaroy resort was designed by WMK Architecture and built by Novati Constructions. It was created to provide a holistic approach to health and wellness in order to help those with spinal injuries best manage their life, deal with the physical and psychological scars they face in society, and re-connect into the community. 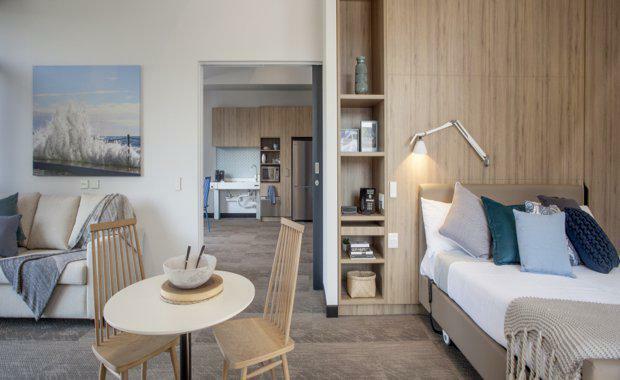 WMK Managing Director Greg Barnett said the architectural approach to Sargood on Collaroy was as far from a traditional institutional facility as imaginable. The external architecture aims to compliment the landscape rather than dominate it, like the resort's individual linear roofs that mimic the crest of a wave, building into a crescendo to the tallest roof which signals the entry to the facility. 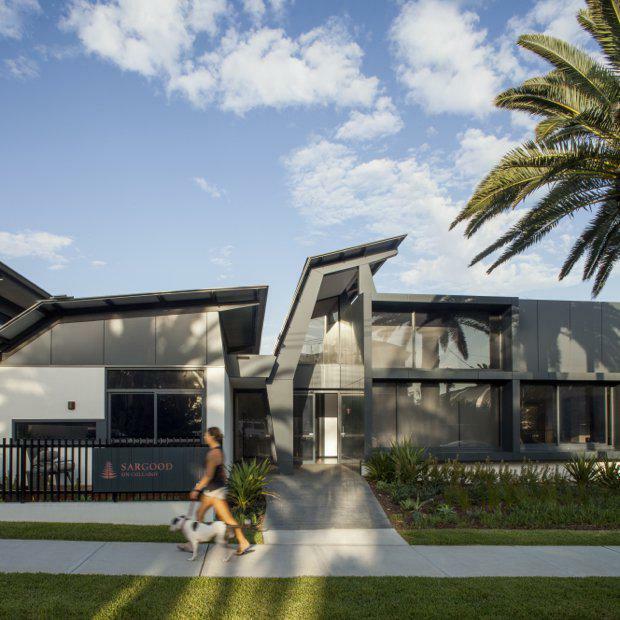 The sophisticated dark charcoal colour of the roofs contrast pleasingly with the pale-colour masonry base, and the commercial grade materials used will ensure minimal maintenance. A wheelchair-friendly 600-metre pathway was built by the local council connecting Sargood on Collaroy to Long Reef Golf Course, which also houses a specially designed golf cart called a Paragolfer to enable people with spinal injuries to play the sport. The 17 individual villas were built to feel like five-star hotel suites, with advanced technology making life for guests as easy as possible. Each is around 50-60 square metres and has furniture that is both fashionable and practical, being able to be adjusted to different heights in order to meet the custom requirements of each user. “We followed no rule book, gaining much of our inspiration from listening to, and interacting with, end-users,” Mr Barnett said. 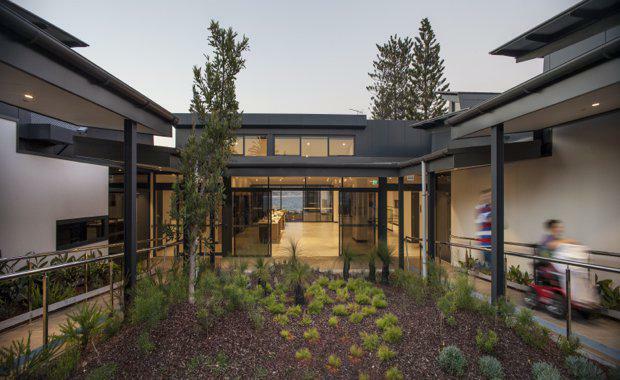 Sargood on Collaroy contains a contemporary lobby and reception area, a communal lounge, gymnasium, rooms for administration, seminars, rehabilitation and training purposes, and a basement for car parking and ambulance access. One highlight is the restaurant-quality kitchen where guests will be able to eat if they desire, while celebrity chefs will be invited to give classes on food preparation and nutrition. 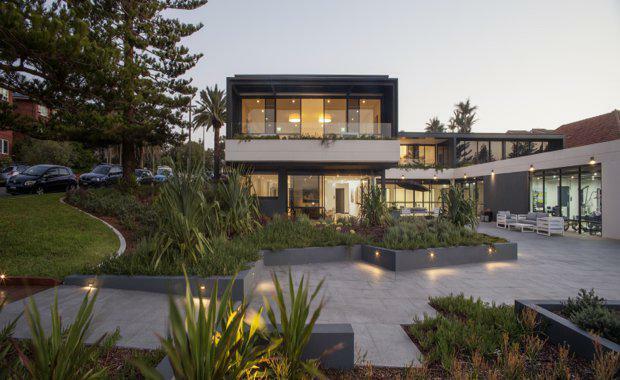 A landscaped central courtyard offers a feeling of serenity, and an expansive north-facing terrace provides views of the beach and children’s playground – a panoramic vista normally the domain of society’s most fortunate. The facility was designed to bring the community in, with celebrity cooking classes, community training facilities, and the ability to accommodate for visiting families.